Bing’s homepage is getting better with the help of Microsoft’s first ever voice-activated digital assistant Cortana. 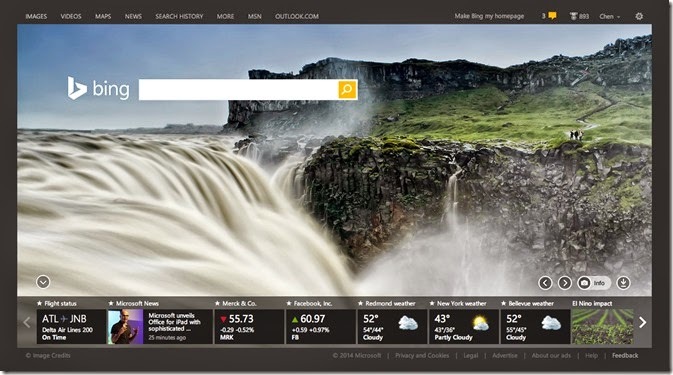 Microsoft has introduced a set of personalized cards on the Bing homepage to help users keep track of items that are important to them such as weather, news or stocks. Users have to sign in to their Microsoft account and set up their interests in Bing settings with the help or its newly introduced voice-activated assistant. Cortana was brought as beta in the U.S., was designed to be like a real personal assistant.